International Journal of Research in Health Sciences,2014,2,3,842-846. Maternal and Fetal Health Unit, Department Of Obstetrics And Gynaecology, Olabisi Onabanjo University Teaching Hospital, Sagamu, NIGERIA. Background: Laparoscopy has been found to be very useful in the evaluation of tubo-peritoneal factors in female infertility in Nigeria. This is because of the peculiarity of infective tubo-peritoneal disease as the main aetiological factor of infertility in the region. Objective: The main objective of this study was to highlight the experience with outpatient laparoscopy at Olabisi Onabanjo University Teaching Hospital (OOUTH), Sagamu with particular reference to findings, its safety and complications. 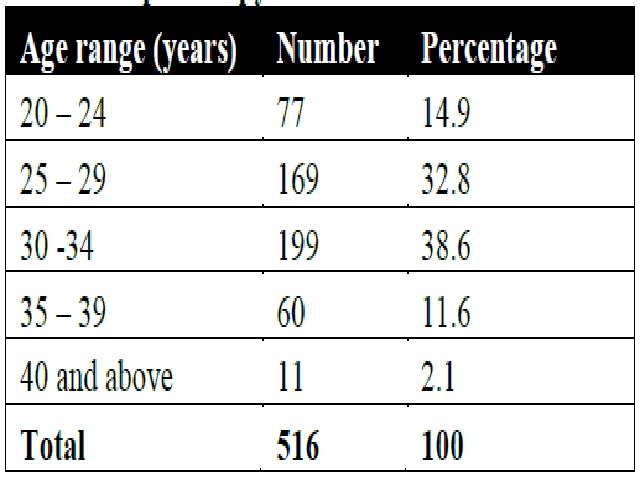 Materials and Methods: This is a retrospective study of 516 patients who had laparoscopy for infertility at the Olabisi Onabanjo University Teaching Hospital, Sagamu between January 1st, 1993 and December 31st, 2002. Results: Five hundred and sixteen women had diagnostic laparoscopy under conscious sedation for infertility evaluation at OOUTH, Sagamu from January 1st, 1993 to December 31st, 2002. The median age of the patients was 31.4 ± 3.8 years. Four hundred and seven (78.9%) of the women had secondary infertility. Pelvic adhesions were found in 60.3% of the women irrespective of tubal patency while 61.1% had varying forms of tubal occlusion. Fibroid nodules were the commonest additional significant findings in this study, present in 32.8% of the women. The complication rate was 0.6%. Conclusion: Diagnostic laparoscopy under conscious sedation is safe and very useful in the investigation of infertility.